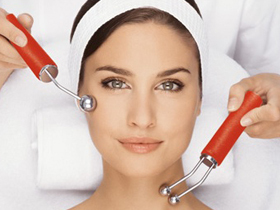 The “HydraLIFT” procedure is for those who want an instant radiance with minimal downtime. This procedure is great before an event and works well for all ages. The procedure entails infusion of small droplets of hyaluronic acid all over the face. The results are great and it may be repeated at 1 month and then at 3 months for best results. “People love this procedure as it gives them an instant freshness, without worries of any downtime or side effects”, says Dr Rajat Kandhari. The hyaluronic acid microdroplets (also called the “youth dew” in some parts of the world) help in smoothening the lines, giving the skin a supple and refreshed look, balances out the texture, further studies show the effect of hyaluronic acid to stimulate collagen production over the next few weeks to months further giving a lifting effect to the face and making it look radiant, refreshed and rebalanced. You would be expected to sign a consent form prior to the procedure. A topical anesthetic (numbing cream) will be applied prior to the procedure to make the process comfortable.